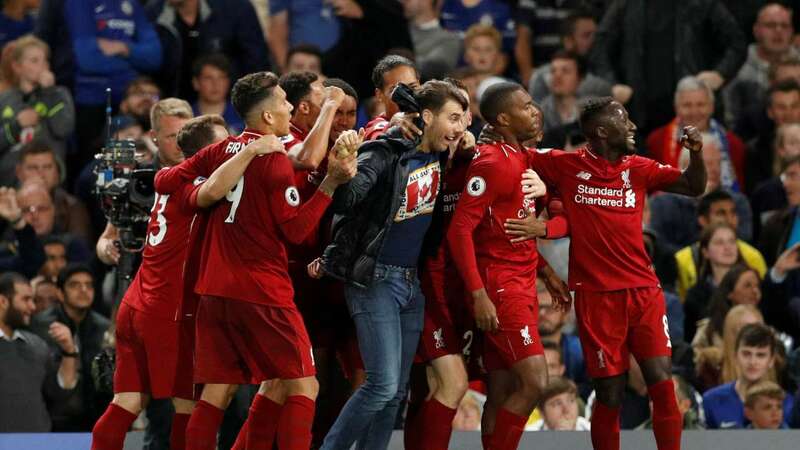 Chelsea take on Liverpool on Sunday looking to pick up three points, which would boost their hopes of a top four finish, and would also dent Liverpool’s title chances. The Blues come into this fixture on good form, after two wins so far this week. Firstly, the side from West-London beat West-Ham 2-0 in the London derby on Monday, thanks to a brace from Eden Hazard. 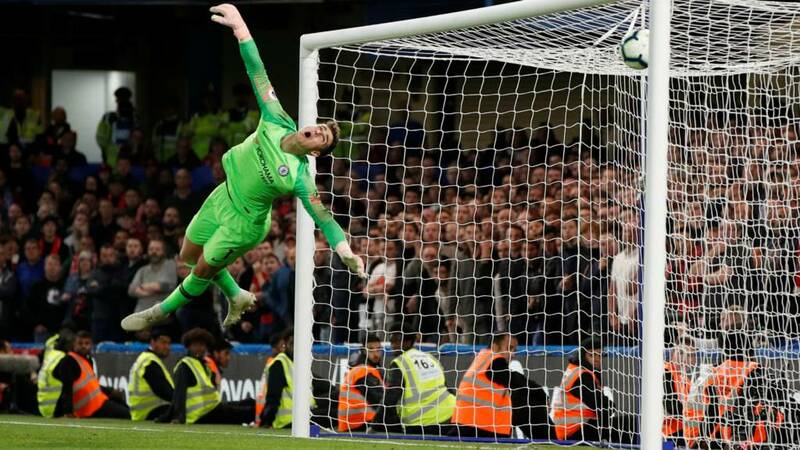 They also beat Slavia Prague 1-0 on Thursday in their first leg of their Quarter Finals in the Europa League, thanks to a late Marcos Alonso goal. The hosts Liverpool also come into this game on good form, after a solid 2-0 lead on Tuesday in the first leg of their Quarter-Finals against Porto at Anfield. The Reds have been in brilliant form in the league all season. Only losing one game so far in the Premier League, and as a consequence- they sit top of the league on 82 points, despite playing a game more than second placed Manchester City, who have 80 points. So this game is seen as the biggest game of the season for both clubs. The result from this match will have major implications in the title race, and top four race. This game is being televised in the UK. Coverage is on Sky Sports Main Event and Sky Sports Premier League. The build up to this game starts at 4:00pm (UK time), right after the conclusion of the Crystal Palace vs Manchester City match, with kick off being at 4:30pm (UK time). You can follow many live blogs if you can’t watch the game, and you can catch highlights of this game on Match of the Day 2 on the BBC. Liverpool will welcome back left-back Andrew Robertson from a suspension that ruled him out of the midweek Champions League win over Porto. Joe Gomez was named on the bench on Tuesday and is in line for a first appearance since early December, though Dejan Lovren performed well at the back against Porto after ousting Joel Matip. Klopp’s biggest selection dilemma is in central midfield, where Naby Keita and Jordan Henderson have performed well in recent matches, which will likely mean James Milner, Georginio Wijnaldum and the fit-again Adam Lallana being overlooked for selection. Roberto Firmino has scored seven goals in his last six Premier League home games for Liverpool, meanwhile, though he has only faced Man United (eight) and Everton (seven) more often than Chelsea (five) without finding the net in the top flight. As for Chelsea, they are expected to rotate once again after making seven changes to their starting lineup against Slavia Prague on Thursday. Key man Hazard was among those to be left out from the off and should return on Sunday, and Callum Hudson-Odoi will also be raring to go after missing out on the square entirely through tiredness. Emerson Palmieri will have to be assessed as he is carrying a knock, but he should be fine and Sarri otherwise has a full selection of first-team players to choose from. Liverpool’s predicted starting XI (4-3-3)- Alisson; Alexander-Arnold, Lovren, Van-Dijk, Robertson; Henderson, Milner, Wijnaldum; Salah, Mane, Firmino. Chelsea’s predicted starting XI (4-3-3)- Kepa; Azpilicueta, Luiz, Rudiger, Emerson; Jorginho, Kante, Loftus-Cheek; Hudson-Odoi, Hazard, Higuain. Sarri on Liverpool match: “We know well the risks of this match against Liverpool but we also know that when we are able to play at 100 per cent of our potential, we can gain points anywhere. We are in a very good physical and mental condition right now. These two giant clubs have met 180 times over the years in all competitions, with Liverpool having a better head to head record. The Reds have beaten Chelsea 76 times in all competitions over the years. There have been 41 draws between these two sides in all competitions. And The Blues have beaten Liverpool 63 times over the years in all competitions. 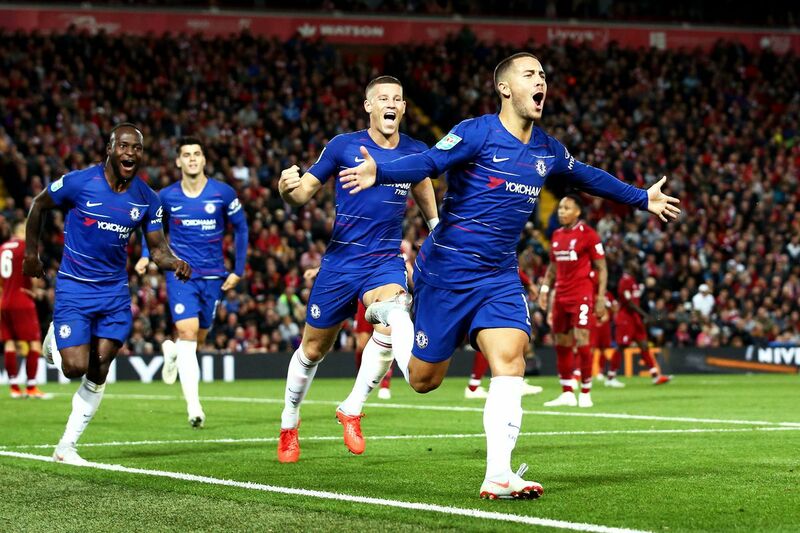 One of these wins in all competitions for the Blues came earlier this season in the Carabao Cup, when a magical Eden Hazard goal helped the blues turn around a deficit of 1-0, to go on and win 2-1 at Anfield to progress to the next round of the cup. Solely on league head to head record, Liverpool also have the better of it. The Reds have beaten Chelsea 66 times in league competitions over the years in history. There have been 35 draws between these two sides in league competitions. And The Blues have beaten Liverpool 50 times in league competitions over the years. 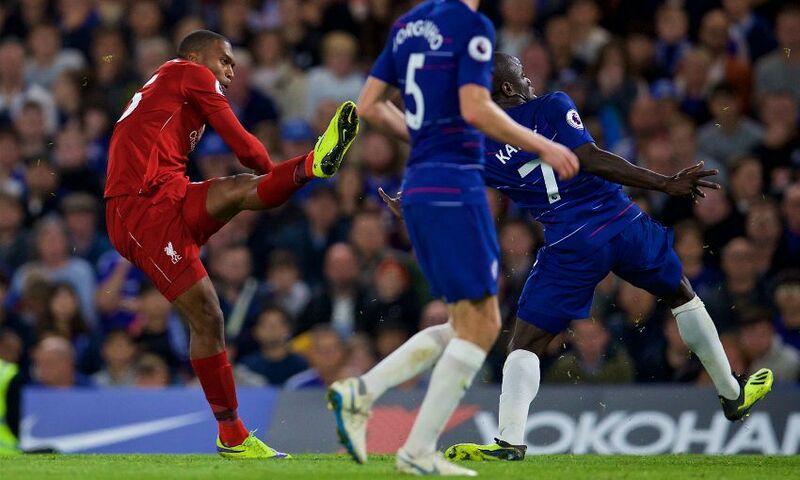 The last meeting between these two sides came earlier this season in the Premier League, when a Daniel Sturridge wonder goal late on, cancelled out a Hazard goal to give Liverpool a vital point at Stamford Bridge. What a goal by Daniel Sturridge! Liverpool have been made slight favourites by Sky Bet to pick up the three points in this game. A win for Liverpool is being priced at 4/6. A draw between these two clubs is being priced at 14/5. And a Chelsea away win is being priced at 4/1. My realistic prediction as a journalist is a 3-1 Liverpool win. I think they will be much fresher than us due to our involvement on Thursday nights in the Europa League. My optimistic prediction as a Chelsea fan is a 2-2 draw. I think any positive result would be massive for us in the race for the top four. Hazard will obviously score one of the goals, and I have a feeling that Hudson-Odoi will get his first Premier League goal for Chelsea. Comment down below your score predictions and predicted line up for this massive game on Sunday.